Easy eBook Publishing PLATINUM is our premier Easy eBook Publishing Service. Get your book published AND your platform kicked off with a professionally designed website AND Mailchimp integration so you can start building your list right away. 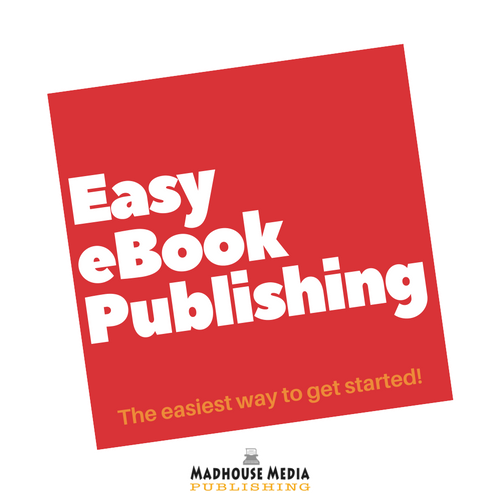 Are you ready to take the next step and self-publish your first eBook? Do you want to save the time and hassle of doing it all yourself? 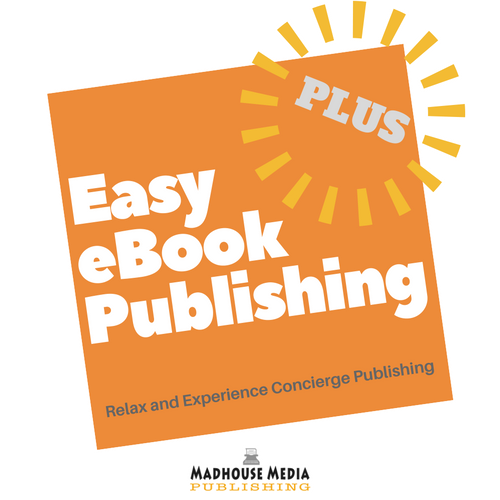 Our Easy eBook Publishing PLATINUM service turns your finished text into a beautifully designed AND published eBook. Don’t try and do it all yourself. Let the experts at Madhouse Media Publishing do it all for you. Easy eBook Publishing PLATINUM is our premier service. Just sit back, and we take care of everything for you. We create eBooks for clients all over Australia. Check out our portfolio! It’s easy to become a published author with our concierge service! In 8 simple steps we’ll take you from writer to published author. Sit back, relax and let the experts at Madhouse Media Publishing take care of everything for you. We’ll design a professional cover and layout suitable for your genre/topic. We convert your book into MOBI (for KINDLE) and ePUB (iTunes, Barnes & Noble, Kobo, Smashwords) formats. We then add an interactive index, authors page and back page marketing links to your platform. We’ll upload the files for your revision and make any changes requested. We then create your KDP and Smashwords accounts and your Author profile pages. You’ll get our secret launch plan that will help your new book get its first reviews and race to the top of its category in Amazon. We launch your eBook on KDP, Smashwords, iTunes Bookstore, Barnes & Noble and Kobo. You get a professionally produced eBook published on all the major internet bookstores PLUS a professionally design authors website to kick off your writer’s platform. You get a great layout that will look fabulous on Kindle and iPad. Your custom cover design will make your eBook stand out from the pack in Amazon and iBookstore. You’ll get a professionally produced MOBI and ePUB eBook file ready for Kindle, Smashwords and Apple. You’ll know the peace of mind that comes with knowing your eBook is being hand made by eBook Publishing Professionals – not someone in Fiverr churning out cookie cutter files for $5. This is our business and we’re proud of the work we do. Check out some of our titles. Full training on how to manage and drive your new KDP and Smashwords accounts after we launch. We setup a Mailchimp account so you can start building your platforms mailing list right away! 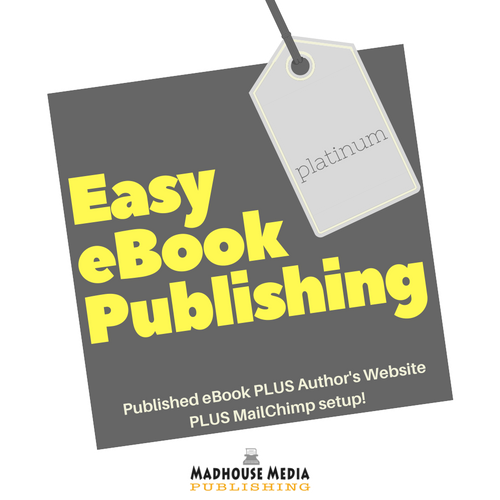 Buy our Easy eBook Publishing PLATINUM service and 30 days later you’ll have a hand coded and beautifully designed eBook available for purchase on Amazon, Apple, Barnes & Noble, Kobo and Smashwords WITH a professionally designed authors website (includes mailchimp setup). You select a layout design template from our library. Then we take care of your book launch publish it on Smashwords, KDP, Apple, Barnes & Nobles and Kobo! Includes full handover training and 12 months free technical support.